With a “customer comes first" philosophy, Only Perfect Parties is an event planning company that specializes in corporate event planning. We know that Events are investments for corporations – whether they are Employee Holiday Parties, Company Picnics, Golf Outings, Team Building Activities, Client Entertaining, Cocktail Receptions or Corporate Awards Dinners! Our comprehensive service enables you and your staff to concentrate on your day-to-day business, focus on your expertise, and trust us to coordinate and execute your event from concept thru completion, all within or under budget! At the core of every corporate event, we know there are opportunities to interact with key audiences, build relationships and enhance your brand. 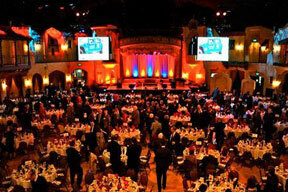 Every part of an event communicates something about your organization. A successful & well produced event can provide enormous return for your company in many ways —increased sales, new business, visibility, better morale, and positive public opinion just to name a few. Poorly planned or executed events are wasted opportunities...and wasted money. 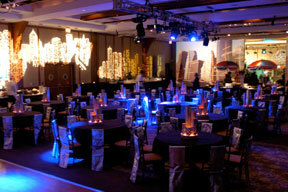 We'll begin our consultation with you by discussing your target audience and goals for your event. The more specific your objectives, the better for us to understand and exceed your expectations! 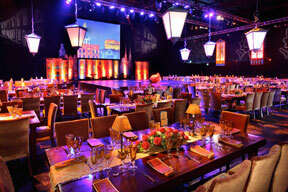 Only Perfect Parties delivers proven experience, brilliant thinking, exceptional capability and meticulous execution. By attending to every detail, securing the most talented event resources, and following a well thought out timeline, our result is your success and complete satisfaction!